Han-Tek is an engineering solutions provider that can help you solve your toughest materials handling challenge. By bringing together the skills and expertise of our automation engineers and the automation and machine control technologies of our strategic partners – we can automate virtually any line, infeed, post-process system with a customized Han-Tek solution. Han-Tek follows a thorough data-driven discovery process which ensures we deliver the best solution and products for the clients’ business purpose and strategy. It begins with a keen understanding of your current process and especially your short-term and long-term business goals and process automation objectives. We then gather the data and information to analyze and document our findings. Based upon our findings, we will design an automation recommendation for your review, and with your input, finalize an automation design for execution. Finally, we’ll estimate every aspect of the project – from equipment to installation to controls - including a cost analysis that will demonstrate your return on investment. We’ll discuss your Automation problems and potential solutions for your consideration. Han-Tek will bring the most reliable robotic components to every materials handling solution we engineer. 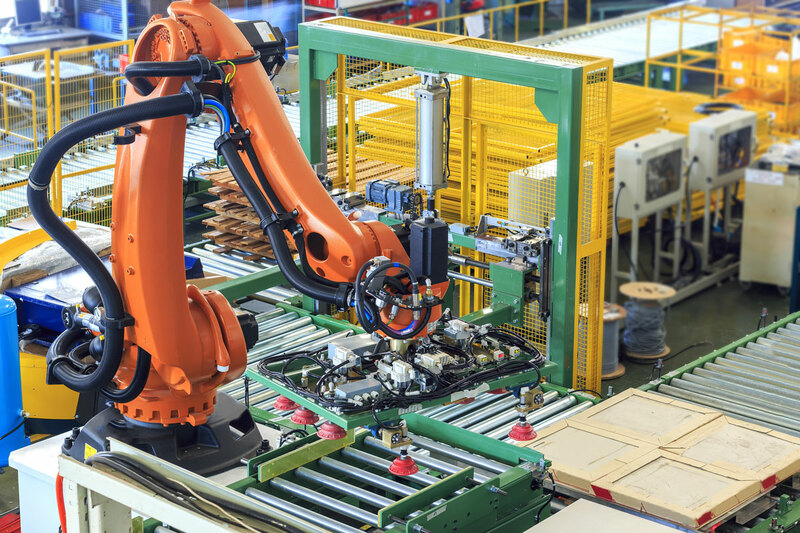 We fully integrate the robots, conveyor and retrieval systems, and machine controls with user-friendly software to ensure the solution will optimize your product movement needs and provide your business a competitive edge. Together with our strategic product partners, Han-Tek brings the most reliable robotic components to every materials handling solution we engineer. 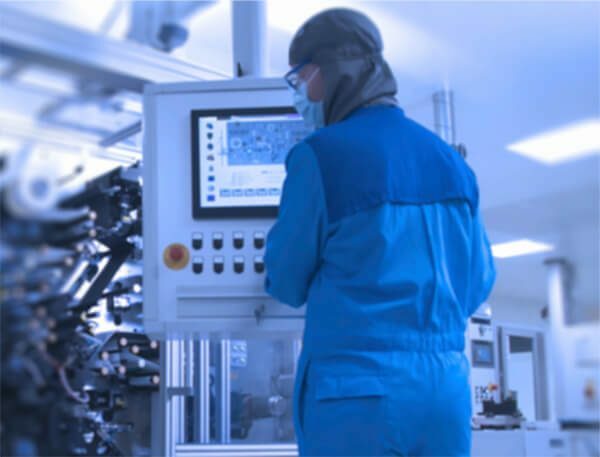 We fully integrate the robots and machine controls with user-friendly software to ensure the solution will optimize your product movement needs. 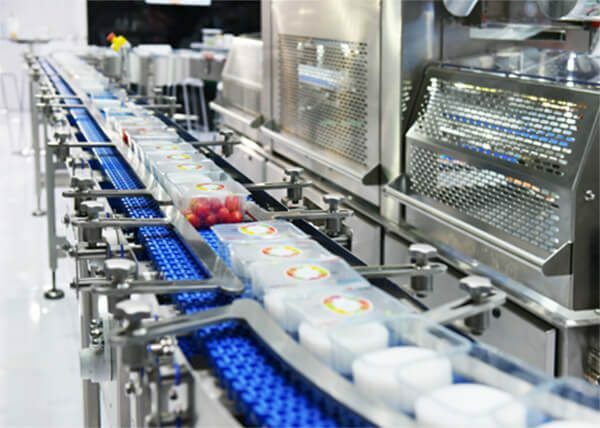 resulting in a time-saving, cost-effective automated line. Han-Tek preform handling conveyor solutions are engineered to deliver the goods like never before—faster, more efficiently, and at less cost than old-school conveyors. Now your preforms can go directly from injection molding to blow molding, bypassing gaylords. So you can forget manual handling, fork truck operators, and dedicating space for storage. Or let Han-Tek design, build, and install an overhead system for preform handling that makes more efficient use of your vertical space. 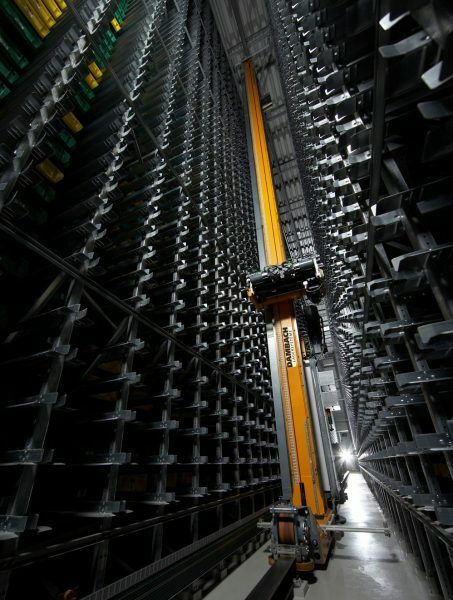 Han-Tek can design, build, and service every facet of a state-of-the-art ASRS. Or we can modify your existing ASRS to meet changing needs. We also create the control systems that fully integrate your ASRS with production, warehouse management systems, and administrative processes. 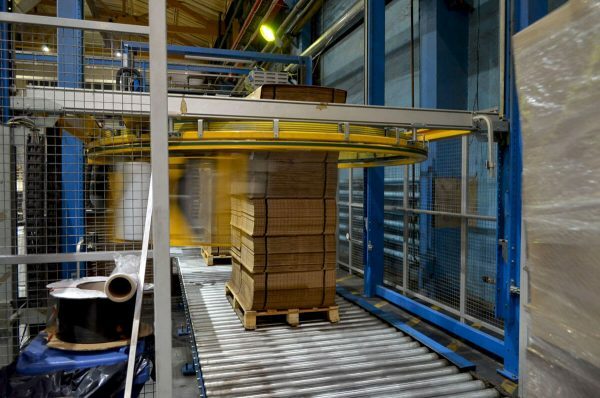 Han-Tek can help you engineer a user-friendly, high-performance palletizing and depalletizing system to support your distribution operations. 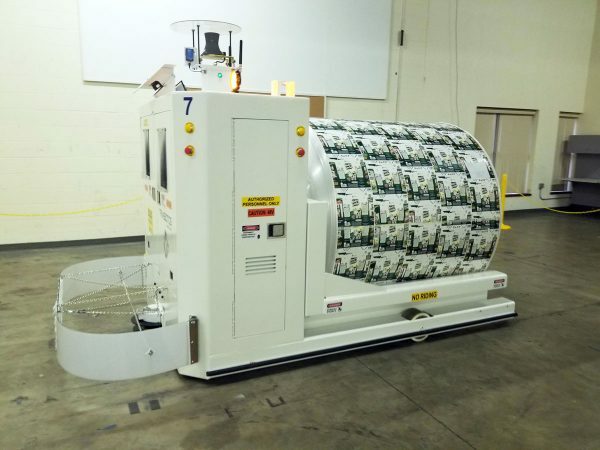 Combining a Han-Tek-designed conveyor system with Automatically Guided Vehicles (AGVs), we can move virtually anything in your plant more safely and rapidly. We also integrate Automatic Guided Carts (AGCs) as part of our solutions as a certified SmartCart® distributor. 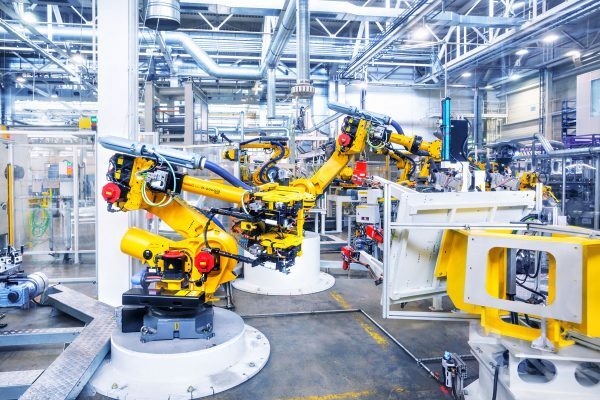 Manufacturers are turning to Han-Tek to implement collaborative robots to help solve labor shortages, increase productivity and become more competitive with a cost-effective collaborative robot solution. Han-Tek is a Certified System Integrator (CSI) for Universal Robots, the #1 collaborative robot in the world. Han-Tek’s custom software will integrate with all your automation and materials handling systems to help you control every aspect of your manufacturing, warehouse, and distribution processes in real time. It also delivers critical business intelligence and data analytics that help you continuously optimize your processes for maximum effectiveness and efficiency.